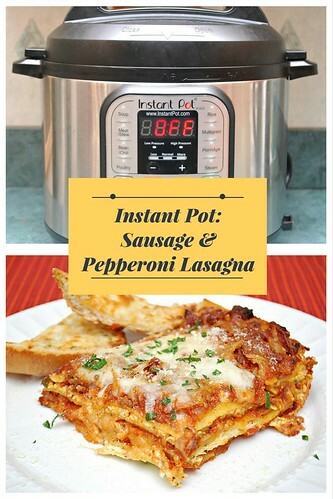 I loved how easy it was to put together and having a no boil lasagna makes it even easier. I found assembling this the day before and then baking the day after had great results. 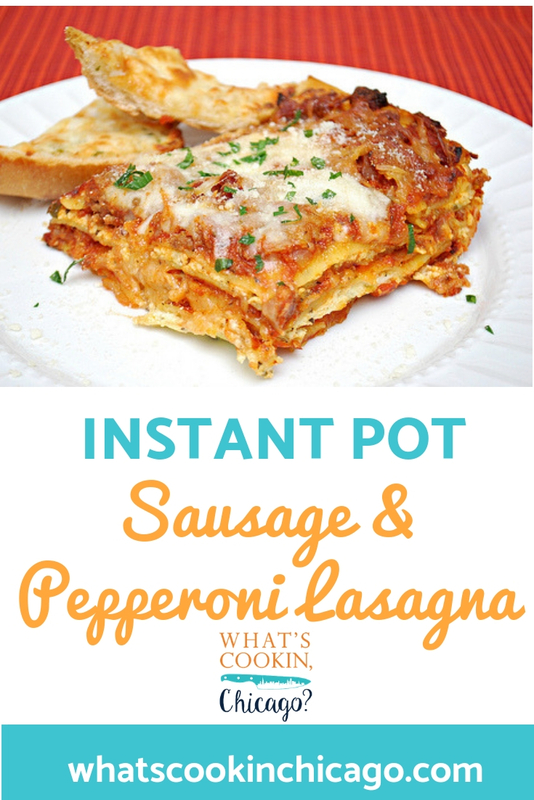 The pasta was able to absorb some of the moisture and liquid of the sauce, making it really flavorful and overall, a tighter lasagna that didn't spill out when cut. Add trivet to the pot with 1 1/2 cups of water. Lightly grease a 7" or 6" springform pan with cooking spray, set aside. Spread 1/2 cup of pasta sauce on the bottom of the springform pan. Next, layer the no-cook lasagna noodles over the sauce - enough to cover the bottom of the springform pan, breaking the noodles to fit as needed. In a bowl, combine the ricotta cheese, eggs and Italian seasoning. Add half of the ricotta mixture over the noodles. Top with another layer of noodles, followed by another cup of tomato sauce. Scatter half of the sausage and half of the pepperoni over tomato sauce layer. Cover with remaining half of ricotta mixture. Top with another layer of noodles and cover with another cup of tomato sauce. Add another layer of remaining sausage and pepperoni. Cover with remaining tomato sauce. Cover with aluminum foil and place on trivet in Instant Pot with 1 1/2 cups water. Cook 20 mins on high pressure. Natural Pressure Release for 20 minutes. 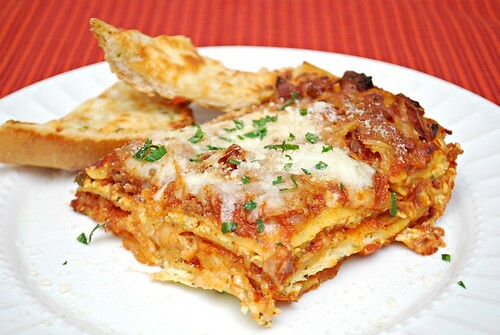 Remove lasagna from IP and uncover; top with mozzarella and Parmesan cheese. Broil in preheated oven until browned to your preference, Let stand 10 minutes before cutting.